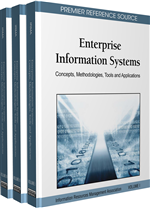 Organizations invest substantial resources in acquiring Enterprise Systems, presumably expecting positive impacts to the organization and its functions. Despite the optimistic motives, some Enterprise System projects have reported nil or detrimental impacts. This chapter explores the proposition that the size of the organization (e.g. medium, large) may contribute to the differences in benefits received. The alleged differences in organizational performance are empirically measured using a prior validated model, using four dimensions employing data gathered from 310 respondents representing 27 organizations.